I am currently taking a Foundations of Curriculum and Instruction course at UIC. Our textbook, while a medical curriculum textbook, reminds us that curriculum design crosses education fields and that what we are doing in our classes every year has its grounding in research. 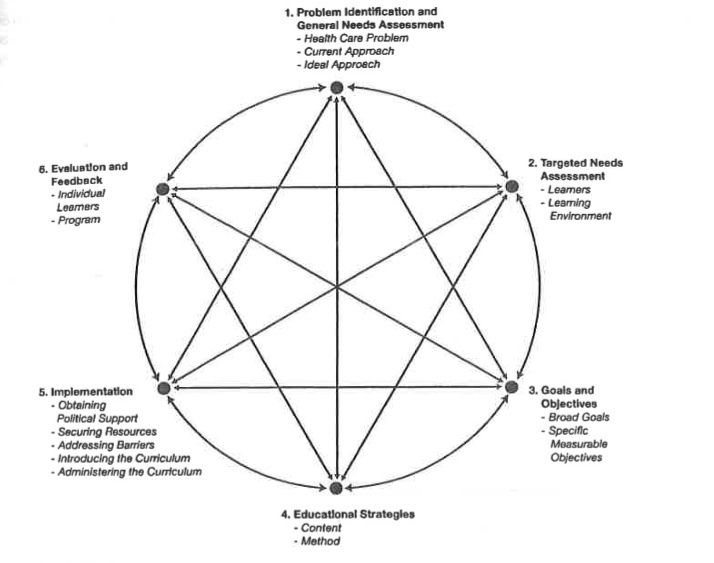 Kern, Thomas, and Hughes in their book provide a 6-step approach to curriculum development. I will cover the first step in the first installment. My goal is to share the theory behind our current practices to serve as a guide as design and redesign our courses. In the general needs assessment you will identify the problem: something simple like "how do we do a better job of teaching X, Y, Z" or a more complex question like "why are students not able to get through the entire curriculum?" For instance, how do we improve writing of a research paper? Or how do we engage students in metacognitive reading practice? The problem may not deal with content at all and instead focus on areas like teacher qualities or student attitudes. You will analyze whom the problem affects, what it affects, and the quantitative/qualitative importance of these effects. In the end, you need to consider the current approach as compared to the ideal approach. That gap between current vs. ideal is your needs assessment and should be investigated from the angle of all stakeholders--teachers, students, administrators, etc. What does this mean for our day-to-day lives in curriculum design? First, I wonder when we sit down to redesign our curriculum, if we start with identifying problems. If there isn't an identifiable problem, why are we redesigning? Do we have metrics to show something is missing or not working effectively? Or do we focus on "I'd like to..." or "wouldn't it be fun if..." thoughts, which have their place, but may not be a priority. I also wonder in our curriculum designs if we take into account teacher qualities or student attitudes. Do we consider what other factors may be limiting success in our curriculum such as stakeholders' prior knowledge and attitudes, personal skills and environmental forces, and current rewards/punishments? Some of this is out of our control, but these are areas we should at least investigate as we reflect upon potential problems to address. 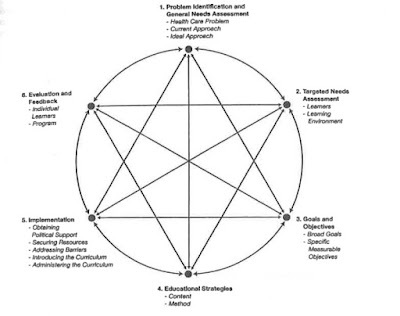 In the next blog post I will discuss Step 2--the targeted needs assessments--where we engage other stakeholders in redesigning the curriculum process.